Do your children enjoy listening to music? Well, great! 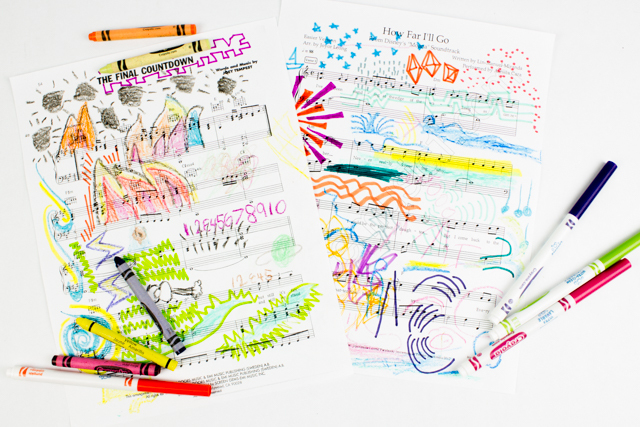 Here's an easy way to combine music and art into an easy and colorful activity! My boys loooooove holding dance parties at home. While listening to one of their favorite songs (on repeat--- oh boy, do we love Moana, Trolls, and 80s music), I thought of trying out this fun activity. Tada! Today we're making sheet music art! We love fall crafts! Pumpkins, corn, Halloween, apples, lovely leaves, cooler weather- ahhh I love it all. 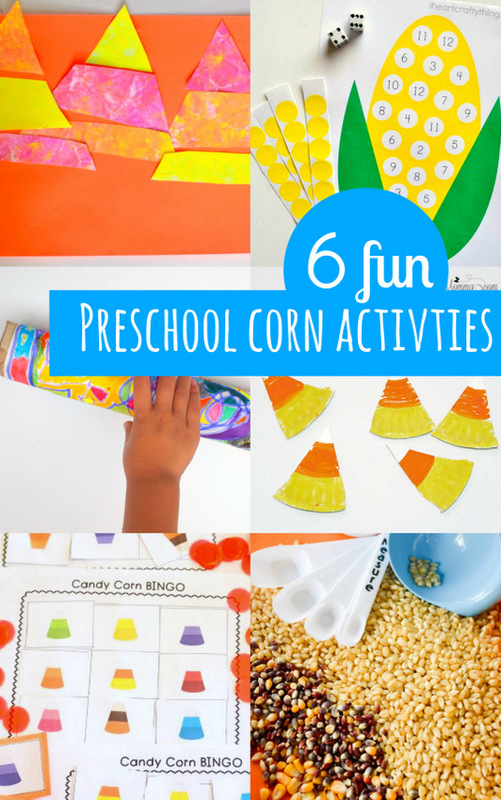 If you're looking for a simple way to incorporate some fall vibes into your preschoolers' life, check out this awesome collection of 6 fun fall corn activities! There are science ideas, artsy ideas, mathy ideas, and even free printables too! Recently my son and I have been talking a lot about the weather. We're currently in the middle of a horrible drought in Southern California so we desperately need rain. Since we always have a ton of cardboard rolls lying around (which we LUUURVE using for cardboard roll crafts), we recently made a rainmaker together. Set-up was simple and it was a snap to put it together. Shake! Shake! Make Your Own Rainmaker with Kids! Ever notice that how your iPod or mp3 player just doesn't play music loud enough? Well, if you have a cardboard roll and two cups lying around, you can fix that problem in a couple of minutes. Yup. Just make yourself a set of makeshift cardboard roll speakers! Chinese New Year is quickly approaching. To help get us in the mood, I made this rattle-drum for Baby Chuck using directions I found in a book of crafts. Do you like the black and white? I chose those two colors to give it a modern look. Wanna make your own? Here's how I did it.